Here at Wessex Garage Doors, we’re a comprehensive, professional and reliable garage door company, offering a host of products and services to our customers throughout Horsham. Our dedicated team come to your property swiftly and at a time most convenient for you, offering their skill, technical ability and wealth of experience, performing premier quality garage door installations. 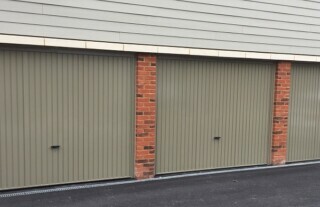 Whatever your individual requirements, our extensive selection of garage doors ensures we will have a perfect solution for you and you can choose from a wide range of high quality garage doors – including up and over, sectional and roller garage doors. 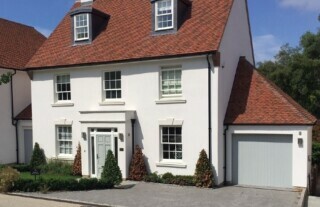 We only source our doors from the best, most established manufacturers and the finished result guarantees complete protection, whilst also complementing the aesthetics of your home. 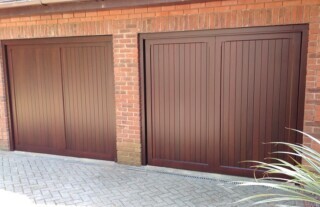 As well as offering garage door installations, we can also add the luxury of electrical automation. Whether you want your new garage door installed with the benefit of automated access, or would like us to upgrade your existing garage door, you can rely on the skills of our experts to ensure your door operates flawlessly. Electric garage doors are the optimum in convenience, so wherever you are in Horsham contact us today for more information. We provide a comprehensive service here at Wessex Garage Doors in Horsham, part of which being our complete garage door repairs service. Whatever the problem with your garage door – be it damaged locks, temperamental opening mechanisms or stiff runners – you can rely on our dedicated team of experts to provide swift, effective repairs. We stock an extensive range of replacement parts so can be with you quickly, wherever you are in Horsham, restoring your door to its full working order in no time. So whichever service you require, and wherever you are in Horsham, give us a call at Wessex Garage Doors today for more information! 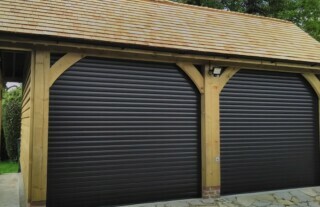 Sectional garage doors offer the ultimate in practicality and as such can be fitted to almost any garage. Mounted on tracks that run up the side of the door. As the door rolls up it is stored in a barrel-like compartment. 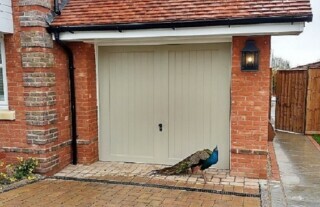 No matter what the style of your home, a traditional timber garage door can give it a welcoming and attractive feel. Glass Reinforced Polyester garage doors are renowned for their strength, stability and resilience. 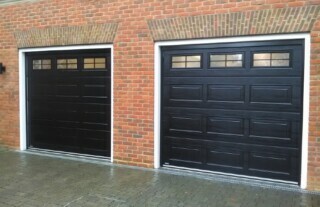 Steel garage doors combine the ultimate in durability and style, and are built by some of the leading manufacturers.